Qingjian has been one of the most prolific developers in Singapore in recent times. In the last few years, it has launched a number of projects, including Visionaire EC that sold out two years ago. After Visionaire, it went on to iNz Residence (that has since sold out as well), followed by The Quest at Bukit Batok. The latest new development that it is launching now in 2018, is JadeScape at Marymount MRT station, in the Thomson neighbourhood. The Thomson / Marymount area is one of the most popular neighbourhoods in Singapore. 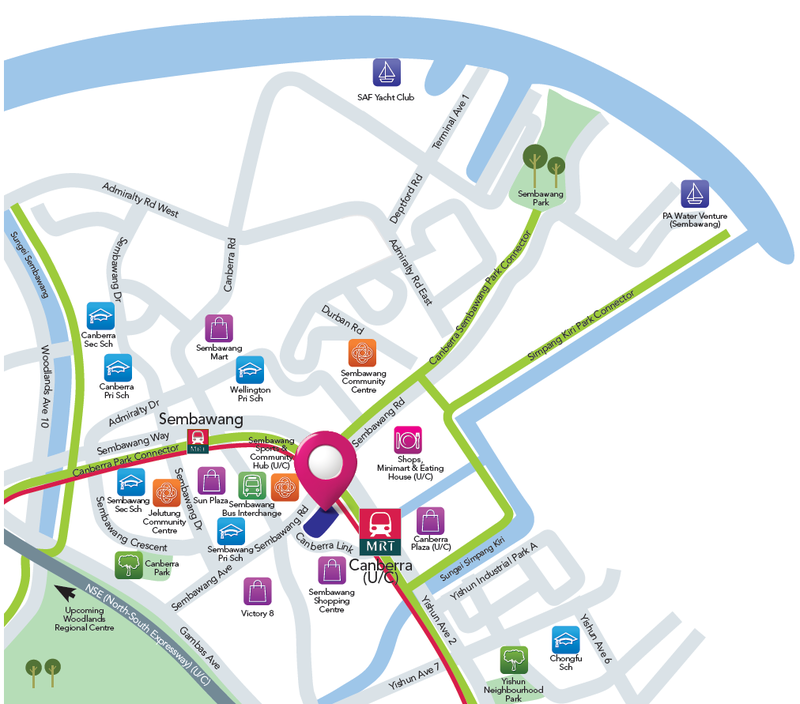 It is just on the outskirts of the Orchard Road district, 10 minutes drive from it via the Newton / Novena area. This is the central water catchment heart of Singapore, its green lung with a swathe of secondary forests, nature reserves, and 2 main reservoirs. 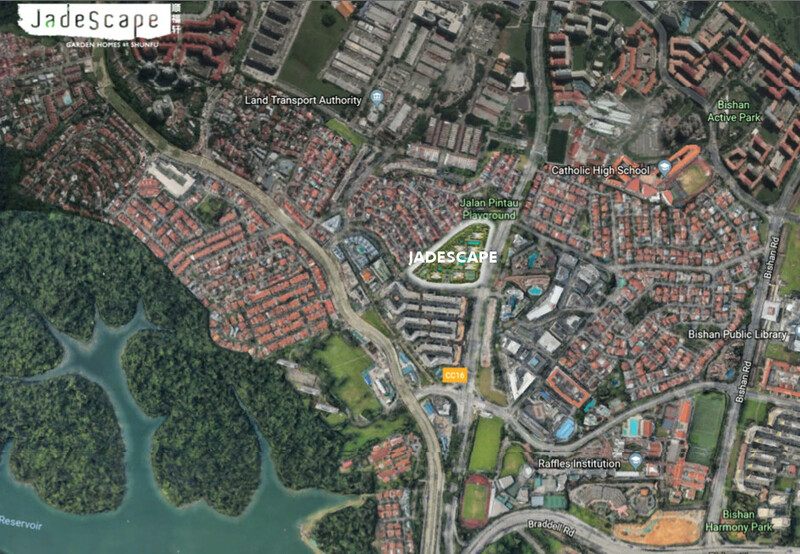 The JadeScape condo in fact sits within walking distance of MacRitchie Reservoir Park. Many of the units here will get pocket side views of the reservoir itself, and the greenery around it. Qingjian is sparing no expense to make JadeScape its trophy project. An internationally acclaimed architect, Paul Norikata Tange of Tange Associates, has been entrusted with the design. Mr Tange has drawn his inspiration for the project from MacRitchie Reservoir, mirroring the profile of the reservoir to form the water bodies and pools that flow through and under the development, and mirroring the waterfalls to form the landscaping. Hence its theme is “Garden Homes in Shunfu”. 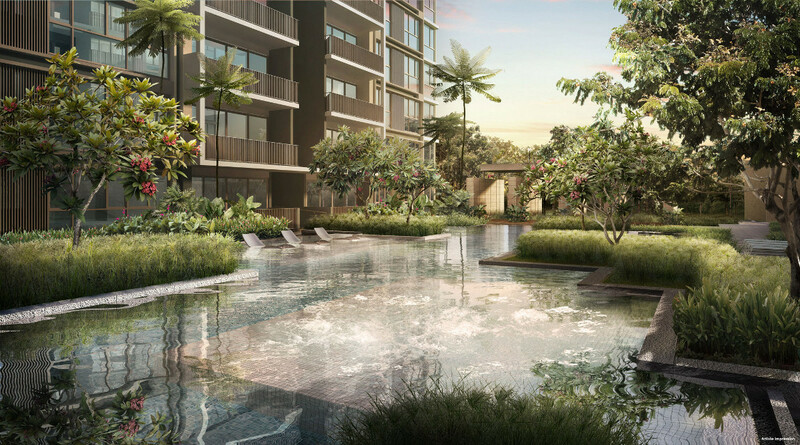 Besides potential pocket views of the greenery and water, the JadeScape condo also sits next to landed housing estates on its north-west and north. These are zoned for two to three storey high landed houses, which ensures unblocked views for many of the units facing that direction for quite a distance. JadeScape is well served by most of the amenities. It is less than 4 minutes walk from Marymount MRT station, with easy access to shopping needs at Thomson Plaza and Shunfu Market opposite it, and Junction 8 nearby. It also boasts several good schools in the vicinity, such as Raffles Institution, Catholic High, and Ai Tong Primary. And of course, Thomson Road itself is well-known as a food haven, with stretches of the road lined on both sides by a wide selection of cafes, coffee shops, restaurants, offering both traditional hawker fare and cosmopolitan newcomers. If this place interests you, or if you would like to make an appointment to view the JadeScape showflat, just drop us a line. We will be glad to send you the floor plans and details on the launch dates, and answer any questions you may have. This entry was posted in The Visionaire on August 26, 2018 by Reviewer. 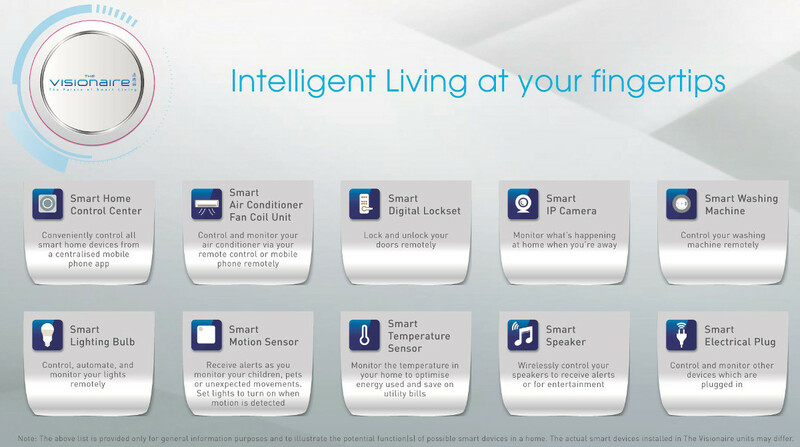 In addition to its Smart Home initiative, Visionaire condo developer Qingjian unveiled in June 2015 a smartphone-based application, call HiLife. This tool provides its home owners with post-handover services and information to make it more convenient to move into, and live in their newly completed homes. For a start, the mobile app will allow their homeowners to book facilities and services within and outside Qingjian projects, including at the Visionaire condo. Lifestyle services such as exercise or dance classes, and interior designer or home maintenance services like plumbing or air-con servicing can be booked via the app. So can facilities in the project like the BBQ pits, function rooms, tennis court. It also links with service providers in the estate, for example hair-dressing and beauty salons, food caterers, and tuition classes like Mavis Tutorial Centre. 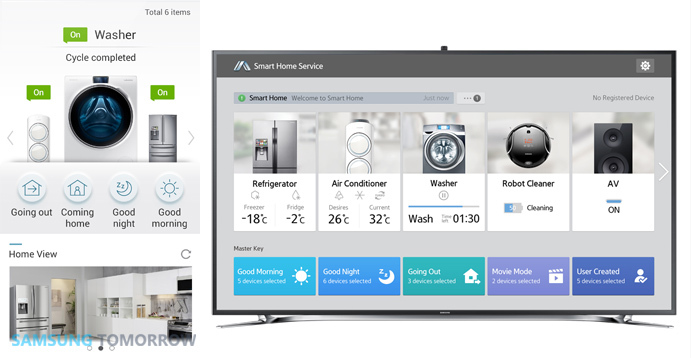 It serves as the perfect platform as well, to integrate with its Smart Home initiative (see above), and link to smart devices from Samsung Electronics or Electrolux, and whatever new wave of products that will come. QIngjian is apparently the 1st developer to offer such a feature. It first rolled out this service in mid 2015 to homeowners of its Riversound Residence condominium in Sengkang. 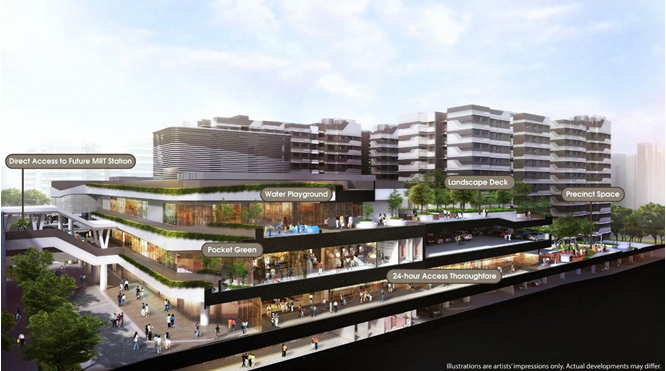 Qingjian is also progressively rolling this out to completed projects like Nin Residence at Potong Pasir and Natura Loft in Bishan, and certainly to new developments like the Visionaire condo. The Product Director and Co-founder of HiLife Interactive, Mr Charles Ji said that in designing the app, emphasis was placed on a deep understanding of how homeowners live, in order to add real value to their lifestyles. According to a poll they carried out, 89% of its home buyers prefer to book facilities in their condos through their smart devices. 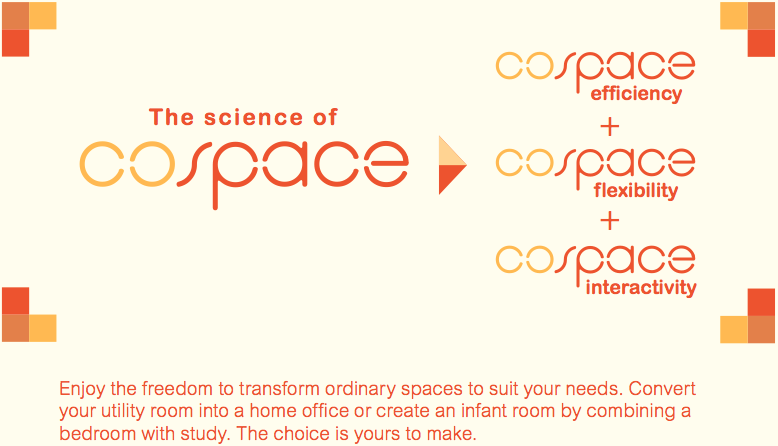 76% are keen to engage services as close to their home as possible. 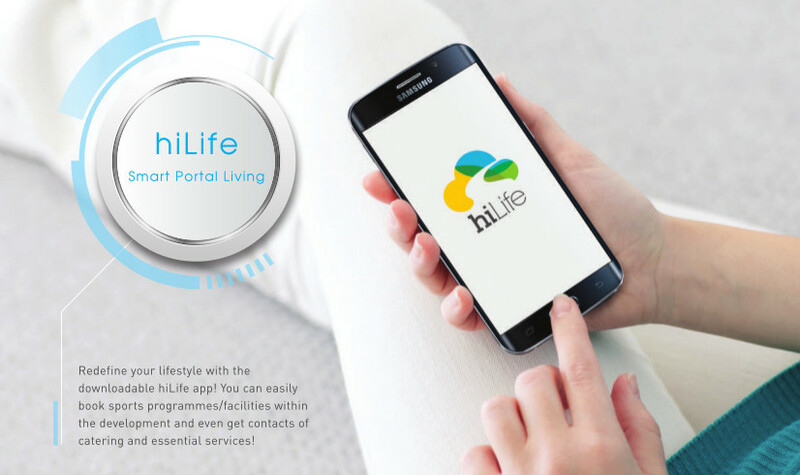 So HiLife is designed to be efficient and user-friendly, and to easily find service providers, including those willing to make house calls. It may even pool demand from residents. Enhancements are being made to HiLife. Qingjian is already in talks with other services such as taxi booking, house cleaning, etc. 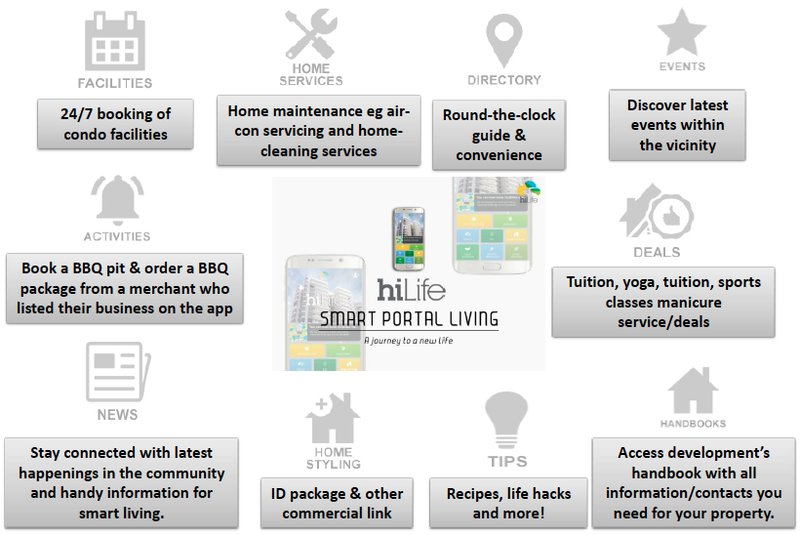 The HiLife app can be downloaded from both Google Play and App Store for free. However, its functions will only be used by homeowners of Qingjian’s projects who will get access details. The assurance is given that prices of Visionaire condo will not be affected in any way by this extra service. 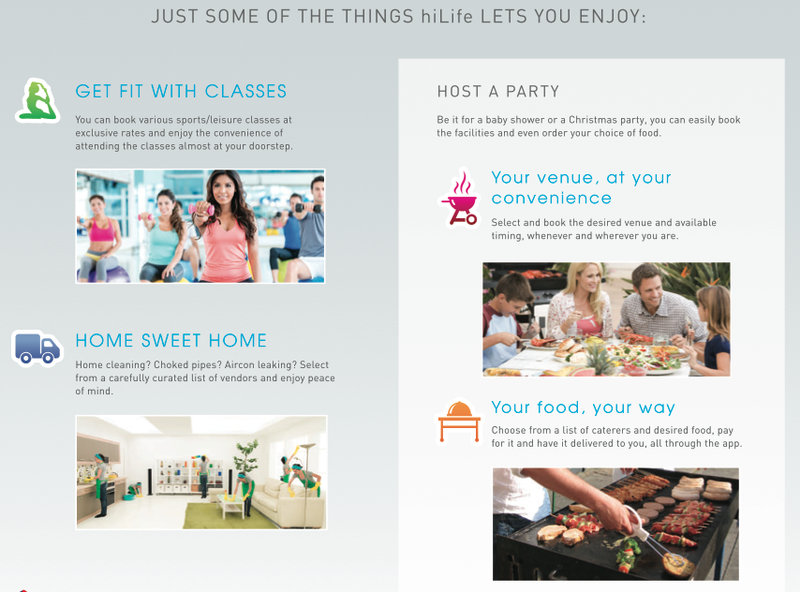 For more on HiLife, see this page (opens in new window). If you would like to be kept posted on all the Visionaire Condo updates or register for a showflat viewing, please email us here. This entry was posted in The Visionaire on December 17, 2015 by Reviewer.